I want to thank Tersia Burger. She has nominated me for the Liebster Award. 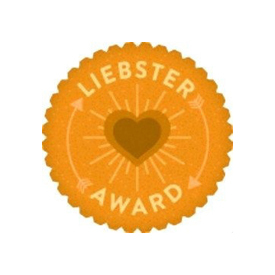 Tersia honors me by nominating me for the Liebster award and I humbly accept! 3. You should nominate other blogs (I have deleted blogs that are no longer active). 1. My children are everything to me. 2. I am amazed at how many chords and lyrics I have memorized. I’ve composed well over 40 original songs and can play all of them by heart. The guitar parts can be quite complicated and some songs are played in several keys. I still remember many of the several hundred cover-songs I used to play, too. 3. I refused to learn how to use a computer and avoided learning to email for many years. So now I am very proud of how proficient I’ve become. I’ve found the computer is an incredible tool that truly assists me with music, art and writing. My excellent English and typing skills have been very useful for blogging. I am adept with Photoshop; it also has been very handy for me. I am proud and grateful that I embraced the digital age after resisting it for so long. 4. When I began my blog and started writing in 2010, I never would have believed it would lead to me to the decision to divorce my husband after 31 years of marriage. 5. Occasionally I miss painting with watercolors, but my passion for art has been overshadowed by music. When I record and hear a new song, my heart bursts with joy. I usually cry when I’m singing. My songs are like babies. Nothing moves me like music. 6. I treasure my smile. I love to laugh and enjoy telling puns. It both irritates and amazes my friends. 7. I am very dangerous on the tennis court. All of the women whom I play women’s doubles with would agree. It is such great therapy for me to hit a tennis ball. Unfortunately, it is embarrassing when it rockets into my opponent’s face! 8. Although my mother has dementia and cannot understand much, she lights up when we’re together and exudes deep love for me. I bask in her light and appreciate that I’ve had her as long as I have; she is a miraculous survivor. She inspires me with her ability to hang in there, and I believe it’s because of her deep love for life and family. 9. I miss my father who died last year. But I feel him with me, especially since I sleep in the same bed and bedroom where he used to. 10. I love to write and express myself. My guitar is my best friend. I especially love dreaming about where my life will go. But if it remains the way it is now, I’m perfectly fine with that. 11. I am extremely open and honest. I can easily share my intimate feelings. My music rediscovery blossomed as a result of my opening up and I know that I’ve touched many people with my writing and music. When I began my blog, I shared many personal details about my children because my life was focused upon them for many years. I am grateful that I was able to move from writing about them to discovering my own life! Unfortunately, yes. Sometimes, I’ve added up the minutes per day checking them and realize it takes up a lot of my time. But I keep doing it! I loved my fiftieth birthday where my dear tennis friends surrounded me. I also loved my fortieth birthday, which was a surprise party given to me by Norm and Jo (my brother and sister-in-law) and my parents. For my next major party (sixtieth) I’d definitely want my children there and perhaps 20 friends. My favorite post on my blog is: All I have left after the death of my child. I love it because it crystallizes everything that I express with my writing and music. 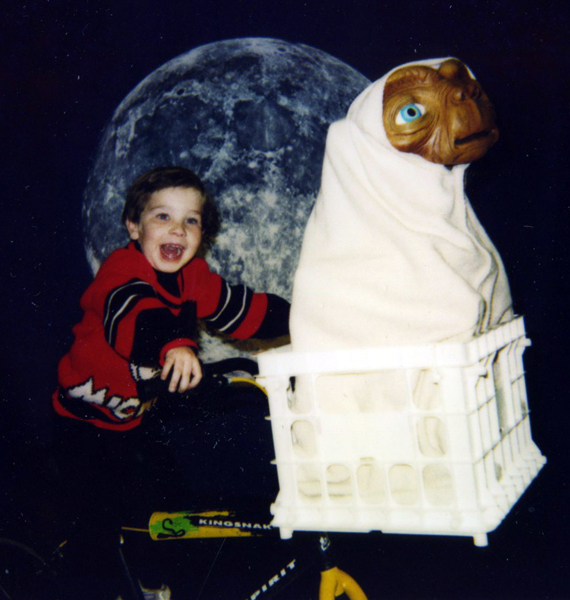 The picture of my deceased son, Jason, biking with ET, gets me every time. He was such a happy child! Inspiring hope of healing is what Jason wants me to share with the world. Our love is as deep as it was when I last cradled him in my arms, even though it has been twenty years since he died. Since childhood, I’ve written hearing a voice in my mind that I’ve called “Judy of the Future.” I always listen for her wise voice. I do believe that God inspires me now. I lived without faith and disliked religion for years, even more so after my son’s death. But now I feel blessed and inspired. I understand my purpose in life and accept that I’ll die someday. My life is precious. Both. I love playing my guitar and writing while alone. I also love sharing with other people. I have a lot to say in both cases! I came across your blog, Tersia, while searching for blogs about grief. I wanted to carry my message of hopefulness to people in deep grief. But your blog had me bawling because unlike helping people who have lost a child, your daughter was still alive and suffering. I couldn’t imagine anything I could do to help. 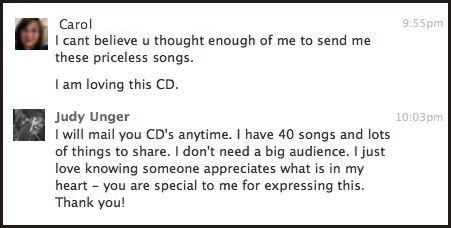 I didn’t expect to hear back from you when I shared my song “Set You Free.” Then you turned my world upside down by posting it and announcing how my song helped you. What more is there in life than to make a difference to another human? When you told me that Vicky listened to my music while she was dying; I cried picturing that! Right where I am. Since I’ve given myself permission to pursue my passionate love for writing and music – my life is like a holiday. I am a workaholic who doesn’t feel like it’s work. I discovered I loved writing in the sixth grade when I was eleven years old. My teacher was certain I’d be published someday. 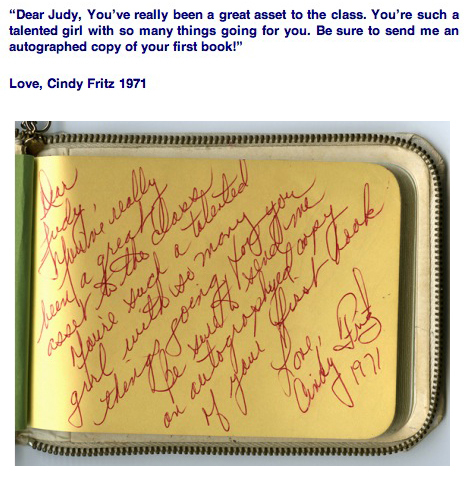 I tried to share with her that I published a maze book when I was in eighth grade, but she had already moved away and I didn’t know how to contact her. This is hard to answer. It’s embarrassing because I hate television with a passion. It was always turned on in my bedroom and I searched for ways to ignore it; listening to music helped somewhat. If I could travel back in time to when I did enjoy TV, it was a very long time ago. Okay, here it is: Thirtysomething. It was such a wonderful show and I still remember many of the episodes. I love old pictures. 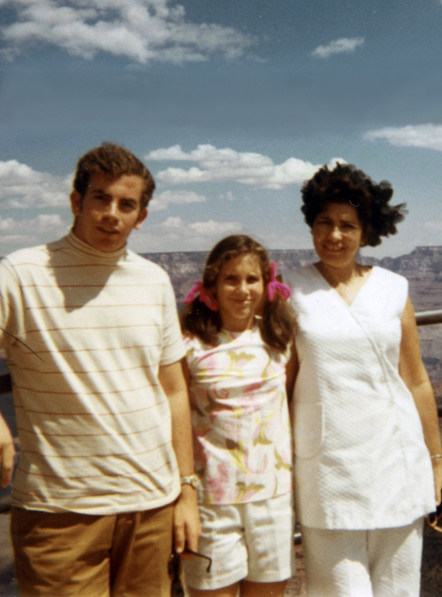 I was about 9 years old in this photo with my mother and brother, Norm. 1. Are you able to express your true feelings? When you can’t, how do you deal with it? 2. Do you wake up to write because it can’t wait? 3. Do you love chocolate? If not, what is your favorite delight? 4. Is exercise a chore or something you enjoy? 5. Do you imagine what you will be doing ten years from now? Will you be happier? 6. What is your favorite color and how does it make you feel? 7. Are you good about backing up your computer? 8. What is your favorite song that moves you? I love inspiring other people. 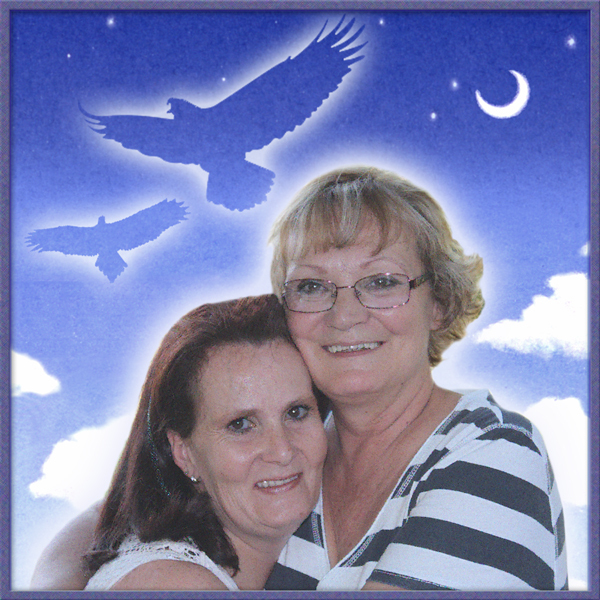 A week ago, I spoke to a woman named Carol whom I reached out to on a Facebook grief site. We had some lovely exchanges, which I’ve already shared on my blog. Last week, I received a message from Carol with a request from her for us to talk on the telephone. We both live on opposite coasts of the USA; Carol lives in New Jersey and I live in Los Angeles. I called her and we were both on the phone for two hours. 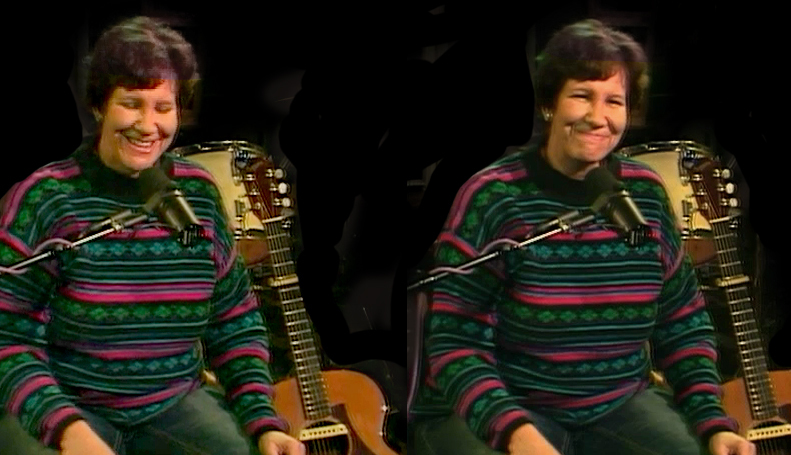 Carol wanted to discuss ways that I could share my music and writing with more people. It was very exciting for me to hear her ideas. I began to dream again about where my book and music would go. Finally, I told her I was tired. I was going to go and pluck my guitar before going to bed. I ended up propping up the phone on my music stand and playing a concert for her! I couldn’t believe that I was playing my guitar to someone I had just met over the phone! 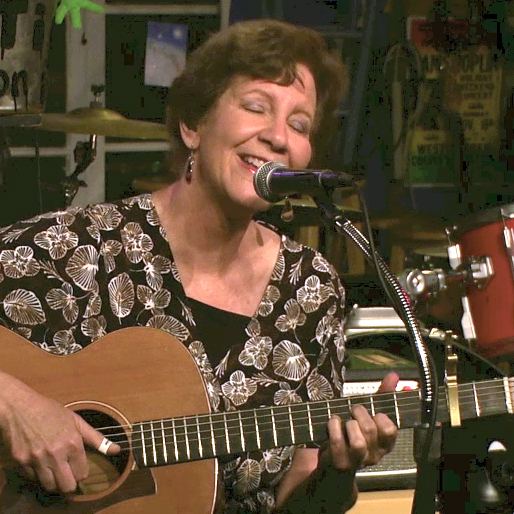 This was taken at an open-mic performance where I courageously sang without my guitar! I was smiling when I saw that Tersia had nominated me for the Liebster Award. I needed that smile because my day had been particularly challenging. Tersia had posted something about eagles two days before. After studying the requirements for my Liebster Award, I carefully re-read her earlier post. It was all about eagle chicks and what their mother would do in order to teach them to fly. Her post had me rolling on the floor. It was such a perfect post for my day! I was completely stressed out from issues with both my teenagers. I wondered how in the world I was going to keep pushing my children without being hated! This was the hardest job in the world and I wished I knew what to do. But after reading about eagle moms, I had a much lighter feeling and a far better perspective. Instead of worrying whether my children might hate me, I needed to continue pushing because otherwise I would actually cripple them. Though I appreciated Tersia’s timing, I was very sad to read that she felt she had smothered her daughter; she ached because her daughter never had the chance to leave her nest. Tersia’s longing and torment was inconsolable. The mommy eagle awaited the arrival of her baby chick. But when the time came, her baby was flaccid and close to death. There was little chance her sickly baby would survive. 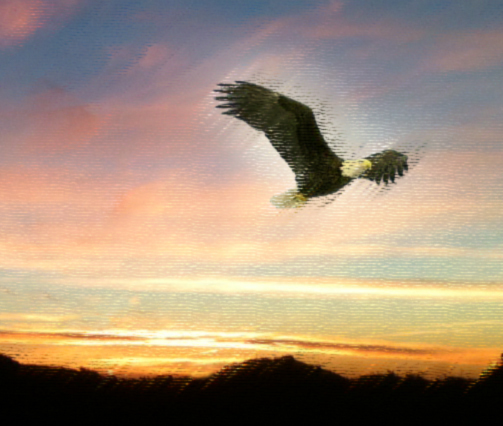 The eagle mom decided to name her child angel baby and prayed she would not lose her. The name was perfect, because her baby continued to live despite all odds. But the eagle mom was not an ordinary mom; she was actually an angel mom and that was why an angel baby was borne to her. Both of them were special beyond description and surprisingly, neither one knew it. But everyone around else did. There was no other explanation as to how her baby chick survived. It definitely was miraculous. Every ounce of the angel mom’s soul went into helping her baby survive. Her baby fiercely clung to survival because of her mother’s love. While other eagle mom’s had babies that flew, this angel mom had a child that would never fly. How she wished she could help her baby! She decided that not only would she devote herself to her child’s survival, she would teach her sickly angel baby to fly without ever leaving the nest! There were other ways her baby could fly and together they discovered beautiful ways. It was their secret and her angel baby loved flying. She closed her eyes when she flew; her beauty was exquisite and she glowed. Angel mom was so devoted to her baby that she never allowed herself to fly. She chose to only fly while holding onto her baby. She never understood that it was this connection that actually gave her baby the ability to fly. Soon her baby eagle grew up. Her angel baby treasured her amazing life. Her ability to fly without wings was a secret. To outsiders, she appeared to be a suffering and deformed creature. Eventually though, it was time for the angel chick to fly alone; now she would go to places in heaven. And one day, she would be reunited with her angel mom and together they would fly again. When angel baby left for heaven, angel mom was heartbroken and suffered horribly. Even though this was something both of them had anticipated for a long time, angel mom had no idea what to do. Angel mom cried and cried. She wondered why other people had babies that could easily fly and didn’t leave for heaven prematurely. Typically, babies were set free to live. Instead, she was forced to set her baby free flying to heaven! 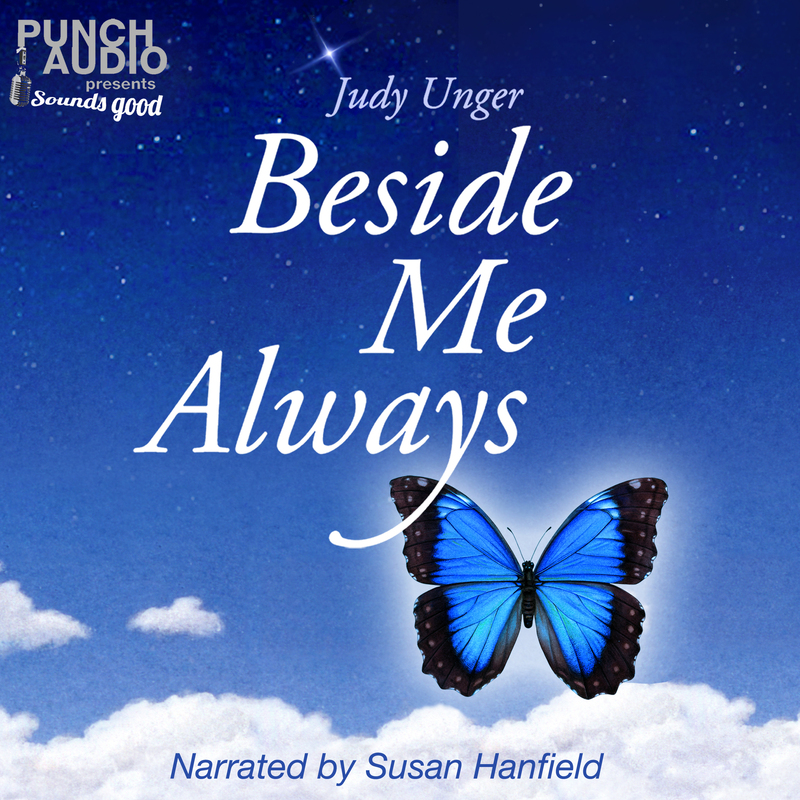 Even though she had helped her angel baby to fly secretly during her difficult life, angel mom had no idea how to fly herself. She was tormented with longing for her angel baby and felt truly alone. Angel baby didn’t want to leave and was very worried about her angel mommy. In her short life, angel baby touched many people with her courage. She actually flew farther than any eagle could. She decided to carry a message to her mother. She whispered a story to a friend to share with her angel mommy. With her story, angel baby reminded her mommy that setting her free was beautiful; just as she had gifted her with life, she had gifted her with death. All children must be set free. Angel baby wanted to thank her mom and remind her mommy it was time for her to learn to fly. It was never too late! Angel baby wanted her mommy to know that she was capable of flying. Angel mom would inspire many others to join her while she soared. This entry was posted in Uncategorized and tagged "sandwich generation", acoustic guitar, Aging Parents, awards, blogger, composing, creativity, Daily Life, daughter vicky, Friendship, grief, grief bereavement "Loss of a Child", GRIEF RELATED, guitar, hopefulness, http://dailydivorcemeditations.wordpress.com/, http://doyleswidow.wordpress.com/, http://kloppenmum.wordpress.com/, http://littlestarslost.wordpress.com/, http://lunasmoondance.wordpress.com/, http://onewomansperspective02.wordpress.com/, http://tersiaburger.com/tag/liebster-award/, http://wordsfallfrommyeyes.wordpress.com/, Humor, humor daily life, inspiration, Liebster Award, loss, lovesong, mother, mother daughter relationship, mother's illness, Music, optimism, original songs, performing, singing, songwriting, Tersia Burger, writing. Bookmark the permalink. Congratulations and what a beautiful response to the award. Thank you, Sheri. I am so touched by your comment. I love your blog also and enjoy your writing. Reblogged this on Luna's Moon Dance. I haven’t quite carried the baton, but I have thanked & linked!! Cheers 🙂 N’n. Hi! I nominated you for the Unique Leaves award.